LOS ANGELES – Sept. 20, 2017 – (RealEstateRama) — Global real estate investment and services firm Kennedy Wilson has been tapped as the official broker of record for Illuminate Face & Body Bar’s Los Angeles locations. David Pressberg and Jordan Rubinstein, vice presidents of brokerage at Kennedy Wilson, have been integral in the recent expansion of Illuminate’s Greater Los Angeles locations. Illuminate is a luxury beauty destination soon to be offering a variety of non-invasive beauty and wellness services throughout the West Coast. The company’s first California location will officially open its doors in the boutique shopping area of Brentwood Village at the end of September. Located at 11710 Barrington Court, the 1,788-square-foot space will feature two floors for treatments with a grand ceiling. Pressberg and Rubinstein negotiated a five-year lease for the location. Illuminate will be joining Blo Blow Dry Bar, Sweat NSK, Bellacures, and a variety of restaurants and cafes. With its first location in Las Vegas, Illuminate is quickly gaining traction throughout the California market. Thus far, the Kennedy Wilson team has also negotiated a 10-year retail lease in the upscale market of Calabasas, California. The 1,968-square-foot property will be located in the Calabasas Village, at 23500 Park Sorrento, near the Calabasas Gardens shopping center and Calabasas Tennis & Swim Center. Known for serving celebrity clientele, Illuminate provides a variety of luxury services, including non-laser and laser facials, neurotoxins and dermal fillers, cool-sculpting body services, vitamin IV therapy and vitamin injections, spa parties and more. Illuminate’s other California locations under construction include properties in Irvine, Newport Beach and Santa Clara. The spa operator is also considering a number of other locations throughout Los Angeles and Orange Counties. The company plans to expand its best-in-class beauty and wellness concept nationwide in 2018. Illuminate Face & Body Bar is a luxury beauty destination whose mission is to help clients rediscover their most radiant selves. Offering a variety of unparalleled, non-invasive beauty and wellness services, our expert staff is committed to providing bespoke experiences that leave you glowing from the inside out. At Illuminate Face & Body Bar, beauty is much more than skin deep. Visit one of our West Coast locations in Brentwood and Las Vegas, or online at www.illuminatespa.com . Additional locations coming this Summer and Fall to Calabasas, Irvine, Newport Beach and Santa Clara. 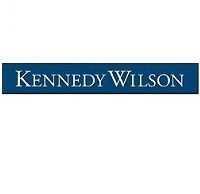 Kennedy Wilson (NYSE:KW) is a global real estate investment company. 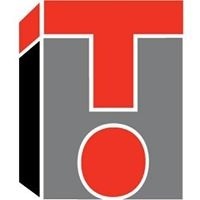 We own, operate, and invest in real estate on our own and through our investment management platform. 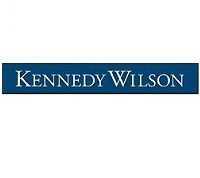 SEATTLE - August 12, 2014 - (RealEstateRama) -- Global real estate investment and services company Kennedy Wilson has hired Jeffrey Utterback as senior managing director in the firm’s Properties Group. 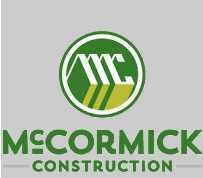 Based in Seattle, he is responsible for overseeing all third party property and construction management activities in the Pacific Northwest region and assisting with the expansion of the firm’s property services division as well as supporting the firms’ acquisitions efforts.